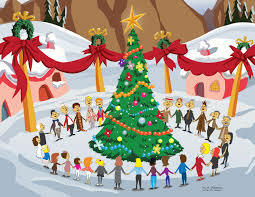 This entry was posted in Adult Education, Evolutionary Christianity, HOLY CROSS LUTHERAN, PONDERING PASTOR, Progressive Theology, SERMONS, STORIES, Theology and tagged Christmas Tree sermon, emergent theology, encountering eternity, evolutionary christianity, Lutheran Sermon Mark 1:1-8, Prepare the Way, progressive Christian Christmas sermon, Progressive Christian sermon Mark 1:1-8, progressive christian spirituality, progressive christianity, spirituality by Rev. Dawn Hutchings. Bookmark the permalink.